The mission of the Amigos de Bolsa Chica is to advocate the preservation, restoration, and maintenance of the Bolsa Chica, to encourage the public acquisition of all the wetlands and sufficient surrounding open space to create a viable ecosystem, and to provide education about the importance of wetlands. The Amigos de Bolsa Chica is one of the oldest and most successful environmental preservation organizations in California. We rely upon members, volunteers and the community to continue fulfilling our mission. The Amigos de Bolsa Chica is a 501(c)3 foundation that was formed in 1976 by a small group of Huntington Beach citizens who were concerned about the loss of a rare and valuable piece of open space, the Bolsa Chica wetland. Over the years the Amigos have provided off-site programs and guided tours of the Bolsa Chica Ecological Reserve for thousands of school children and adults. 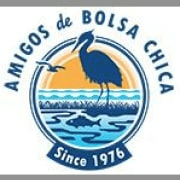 Would you recommend Amigos De Bolsa Chica?